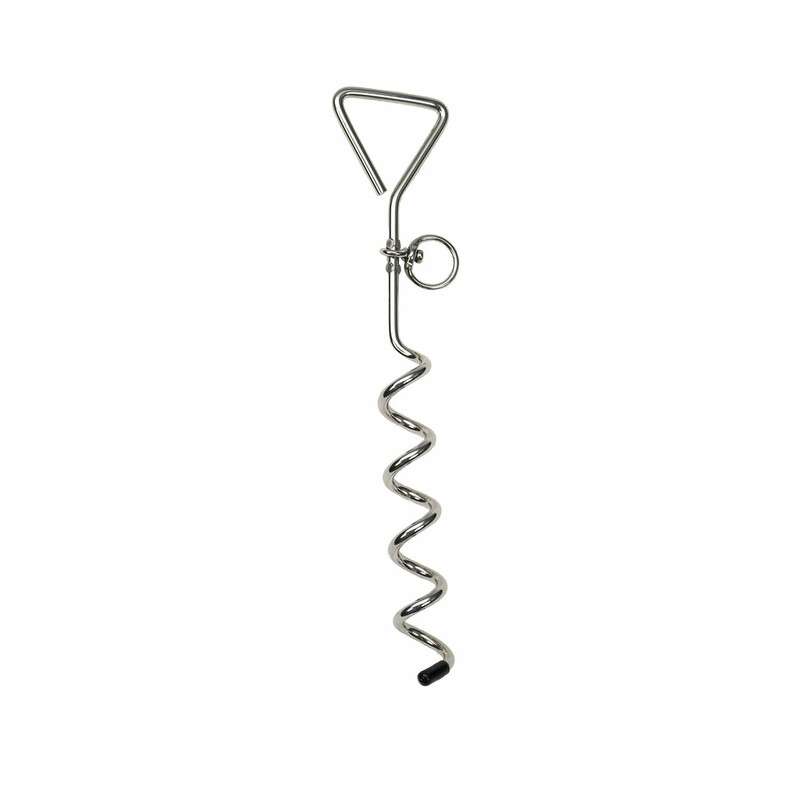 The Spiral Tie Out Stake will provide a solid and secure place to attach your cable tie out. Stake is rust resistant. Measures: 17 inches.